This is the first of a three-part series highlighting five user experience principles to keep in mind when designing your site. 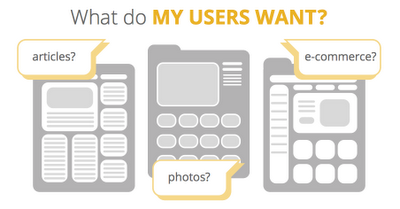 Applying these principles will help provide a great experience for users on your site. After the series we’ll host a live Google+ Hangout On Air on October 9th at 10:30am PT, when we'll put these principles in action by helping an AdSense publisher make UX improvements to their site. Visit the AdSense Google+ page on the 9th to see it live! User experience can make or break your site’s success. With many other sites offering similar services, it’s important to differentiate your site in the eyes of your users by providing a better experience. Because a user’s attention is limited, you'll only have a few seconds to provide a good experience and quickly guide the user to what they’re looking for. Today, we've provided our first two important design tips and techniques to help you identify goals for both your site and its users. Step back and first ask yourself, “How can I give my users what they want while getting what I want?” The first step in answering this is to figure out what your users’ goals are, what your goals are and how they work together. You’ll need to think about what your site’s core offerings and strengths are. We recommend keeping this to one or two strengths. Though your site may be good at many things, you should focus on what it’s great at. Do you give them what they want? How do you get a desired response from them? The answer to here is the real challenge. You need to prove to the user that there’s other valuable content on your site and encourage them to read more. This can be accomplished by including some related or popular articles at the bottom of each article. No matter what page a user lands on, you only have a few seconds on that first screen with the space above the fold to get their attention and show them what you’re all about. Employing a simple hierarchy will give your page a clear structure that will guide users and highlight what you want them to see. Another thing to keep in mind is the information architecture of your site. Users are able to recognize familiar pages from unfamiliar based on the consistent way you organize and display information on your site. If your website’s structure is not logical or what they expect, users will be lost and not sure where to go next. This adds to overall frustration and can lead to users leaving your site. Contrast: Using color, saturation, or opacity to juxtapose elements on the page. Size: Size is one of the easiest design levers to guide your users. Don’t be afraid to use BIG and BOLD elements to draw users’ attention to the most important information on the page. Alignment: Elements that share a common axis appear related. Whitespace: Drawing attention to specific elements by leaving empty space around them. It also makes your design more appealing to the eye. 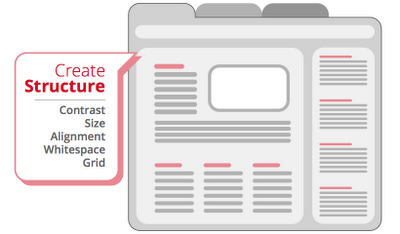 Grid: Using a simple grid to layout elements on your page will create a sense of order and structure. Newspaper sites usually do a great job creating structure through hierarchy. The breaking story or most important piece of news dominates the screen. This ensures it’s the first thing you see. Major headlines from other sections are also big and bold so a user that’s browsing can quickly and easily pick them out. 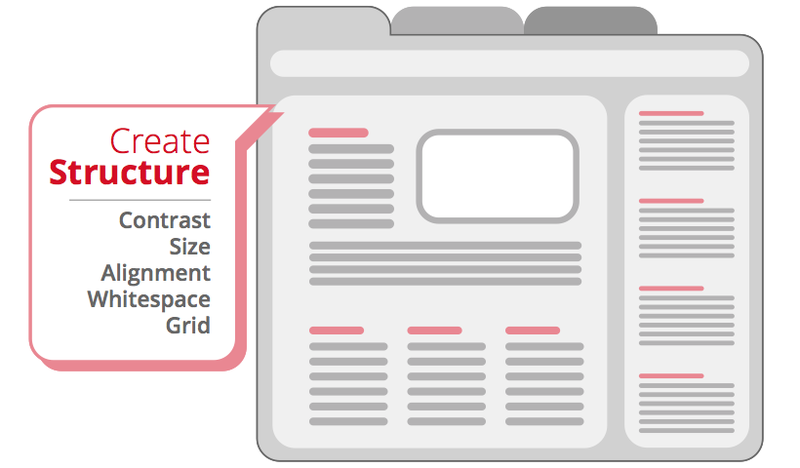 The size and contrast of photos and headlines helps to guide users through the page. Thanks for reading and check back tomorrow for our second installment of Publisher Insights! Google Analytics: Google’s free tool to help you measure your traffic and how users are currently using your site. Additionally, it can help you test how changes to your site affect performance. Webmaster Guidelines: Creating a clear hierarchy and sitemap will help Google crawlers find and rank content on your site.